We are back with GD Monday! With the recent PNB Banking Scam of Rs. 11,300 crores and a myriad of similar scams in the past such as the 2G, CoalGate, BOFORS etc. , it is clear that there is something wrong at the core of the system. Who is to blame? What is the way out? How can we prevent the tax-payer’s money from going into the pockets of fraudulent individuals? And most importantly, are we looking at a possibility of being labelled “The Land of Frauds and Scams”? 1. Remember, this is a discussion and not a debate. Refrain from an aggressive and over-the-top response to someone who disagrees with you. 2. This is a simulation of an actual Group Discussion. The attempt is to allow participants to practice construction of coherent and logical thoughts. The motive is to also introduce pertinent topics that may come in the GD-PI of your dream B-School interview. I agree that India has become a land of scams and frauds. As far as the label is concerned, we are already there. A German NGO called Transparency International has already labelled our nation as the most corrupt in the Asia-Pacific Region. India has had a long history of scams, even before India became a republic. Under Jawaharlal Nehru, there have been many scams involving relatively smaller amounts of money. Such incidents were condemned under the Congress government, but not much action was taken. PV Narasimha Rao had actually set up a committee in 1993, consisting of the Intelligence Bureau and CBI’s respective directors, to investigate the extent of the fraud that takes place in the country. The committee’s findings directly related the Mafia to some Politicians and bureaucrats. So it is clear who is to blame. From the 200 billion rupee Telgi scam, Coalgate under INC, A. Raja and 2G scam under the INC, the Adarsh Scam under INC in which former CMs and bureaucrats were indicted. Under the BJP, Lalit Modi, Vijay Mallya and Nirav Modi have all escaped and have taken safe haven abroad. But what hope can we have for a reduction in such large-scale scams, when small-scale scams and frauds are on the rise? I have personally been the victim of a tuition scam by a Powai based fraud claiming to be an alumnus of IIM Kozikhode. And that scam was of 55 Crores, a meagre number compared to the 2G scam. It is impossible to have a scam-free India when such small-scale Nirav Modis are scot-free to scam anyone they choose. Moreover, our mainstream media has also got a part to play in this. We are distracted from pertinent issues by news articles run extensively by gossip-hungry journalists on news channels which are almost blatantly inclined towards one Political party or another. As an example, the Wire has reported that mainstream media channel has run stories of India’s crime statistics which are extremely inaccurate and paint the wrong picture. 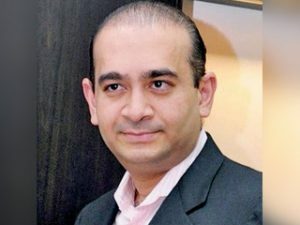 Another example is that according to a Logical Indian Report, the whistle-blower of the Nirav Modi Scam has mentioned in his letter to the PMO that the Times of India had deliberately not covered the story due to its partnership interests with Gitanjali Jewels, run by Nirav Modi’s Uncle Mehul Choksi. While the INC and BJP are engrossed in a futile blaming match, the tax-payer is the one who loses out. I feel the youth of today are not initiated enough, and if they are, it’s in the wrong direction. If thousands can gather at Marine Drive to yell “Pyaar Ek Dhoka Hai”, I don’t see how thousands can’t gather to protest against pertinent issues of our country. 1. Politicians, for being perpetrators and/or failing to take necessary action to prevent such large-scale scams. 2. Mainstream media, for knowingly or unknowingly distracting their audiences from issues which really matter. A TV news debate with 30 panellists, loud TV hosts and debates’ whose conclusions usually end up in oblivion, are of no help. We need real journalism as is currently being provided by NDTV’s Ravish Kumar, and The Wire. 3. Myself and everyone I know, for being quiet when required to speak up and protest. In my defence, I value my life more than the money I will lose out on as a tax-payer.